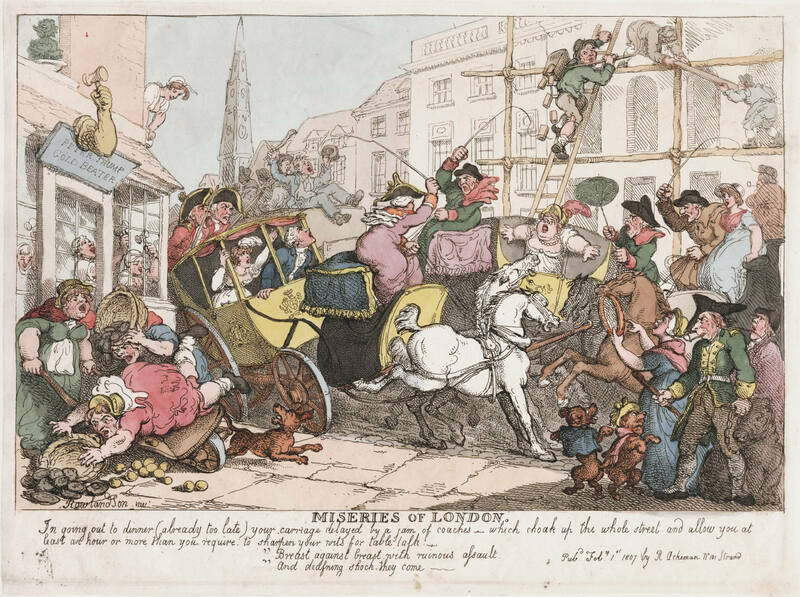 I’ve previously discussed the difficulties and dangers of travel in the Regency era in a number of posts on this blog, but the Lancaster Sands in Lanchashire presented a variety of difficulties for even the most knowledgeable traveler. My first introduction to this region was via a William Turner painting, Lancaster Sands, painted ca. 1826. 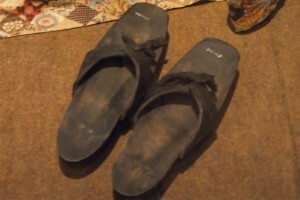 I was struck by the laborers and villagers walking alongside a coach in shallow water. Why would a coach travel so slowly that pedestrians could keep pace? 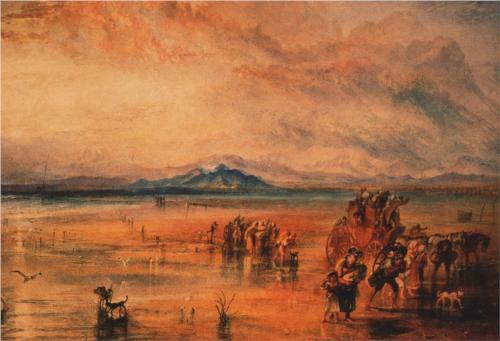 Thumbnail showing truer colors of Turner’s painting. As it turns out, the crossing over the Lancaster Sands to reach Ulverston was fraught with danger, especially after heavy rains. In the early 19th century travelers crossed this watery passage in the Lake District at low tide, for this was the shorter (but more dangerous) route. 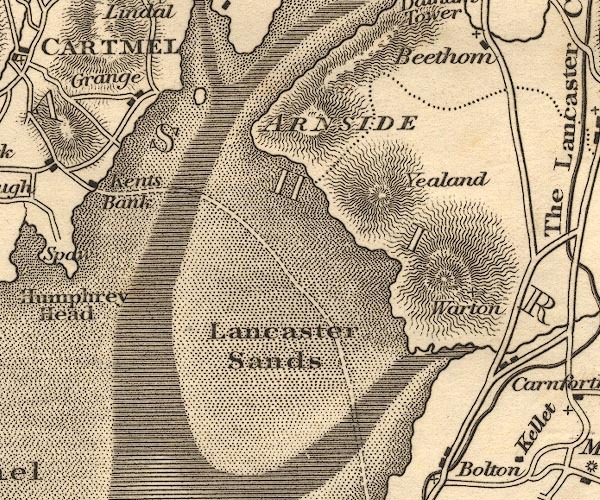 Otley Map, Lancaster Sands, 1818. Image @Portsmouth University. 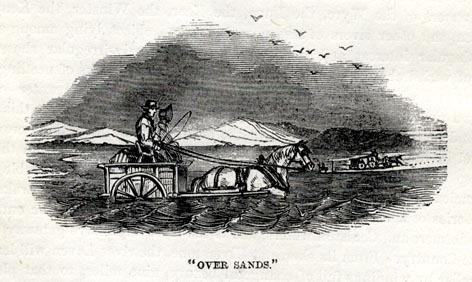 Today, as over 150 years ago, the Sands Road requires a guide to help travelers negotiate the dangerous tide floods. Many who took this route in days of yore, such as William Wordsworth, found the trip to be so memorable that it lived in their memory for a long time. Turner created a number of striking images of the dangerous crossing. In all of them, the pedestrians and riders stayed close to the coach as guides gauged how and where the sands had shifted with the last tides or storms. Brogs, or broken branches of furze, left by previous guides visually led the way. You can see a few of them placed in the lower right corner of Turner’s painting below. 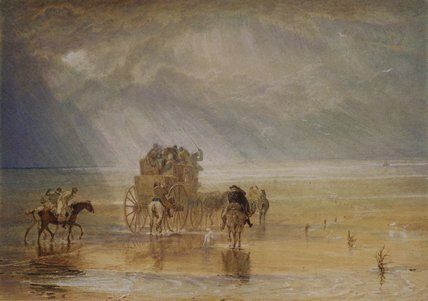 In this dramatic painting, Turner shows the Lancaster coach struggling across the sands and being overtaken by the incoming tide in a rainstorm. (Birmingham Museum and Art Gallery). 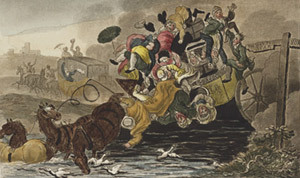 One can imagine the panic of the passengers upon seeing the incoming water, and the struggles of the horses as they pulled their heavy loads along the soft sands. 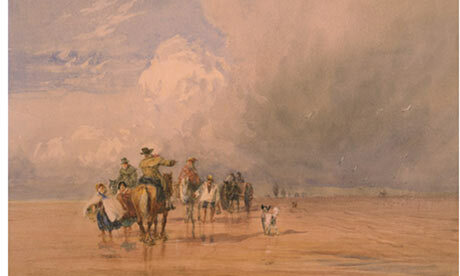 Painter David Cox also painted the Lancaster Sands crossing. 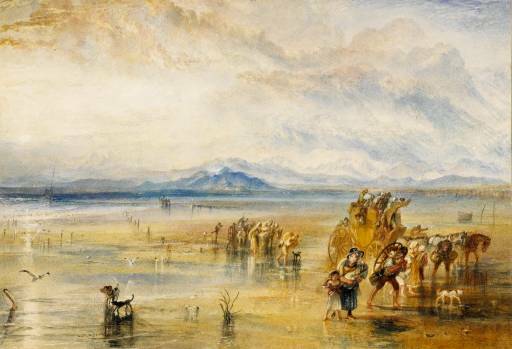 His images are less romantic than Turner’s, but dramatic nevertheless: Lancaster Sands by David Cox, 1835. The route through the sands were ever-changing. The guides tested the way daily, looking for shifts in the channels and for quick sand, but even the most experienced could not prevent the drowning of carriages and coaches and the deaths of people who were caught by the incoming tides or who were trapped in quagmires. Graves in local cemeteries are testament to the many lives that were lost during these crossings. 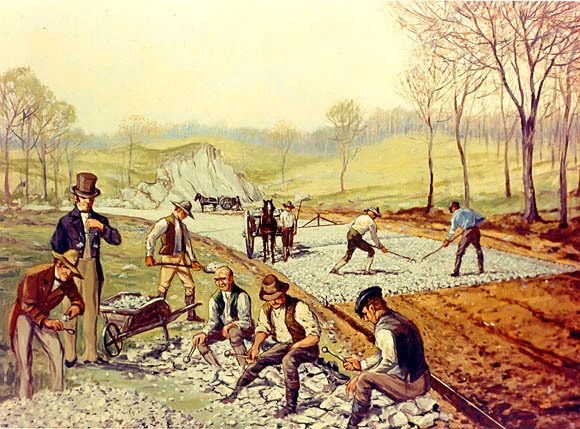 By the mid-19th century, the railroads provided a safer and faster route. Today, the crossing over the sands is a voluntary one and taken for the experience or thrill, not out of necessity. 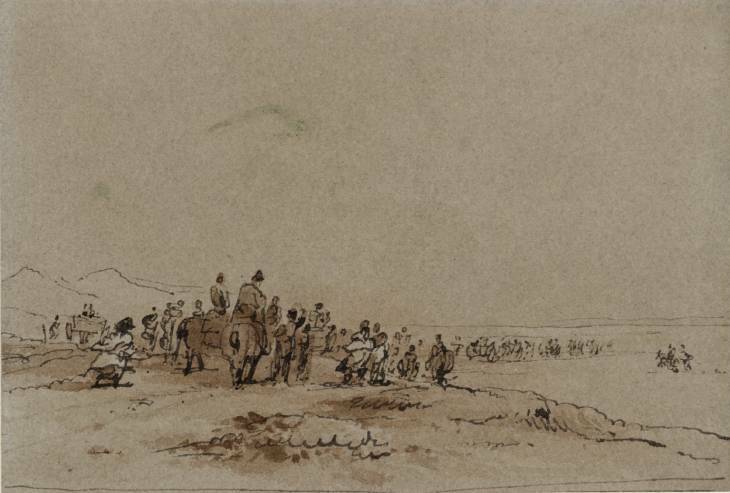 Image of a carriage traversing the Sands in high tides from Waugh’s book. George IV’s spider phaeton (1790) Click on image to view a larger version. Diana Sperling, a party walking to dinner along muddy roads. Travel at night was dangerous. 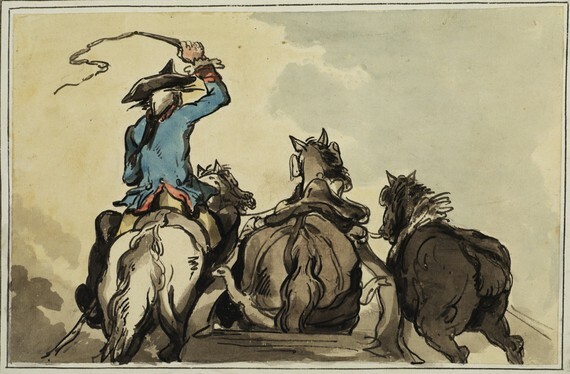 Without a widespread means of lighting roads or an organized police force, night travelers were at the mercy of highwaymen. In cities, link boys were paid a half pence to carry a light in front of pedestrians, or for those on horseback and in carriages. 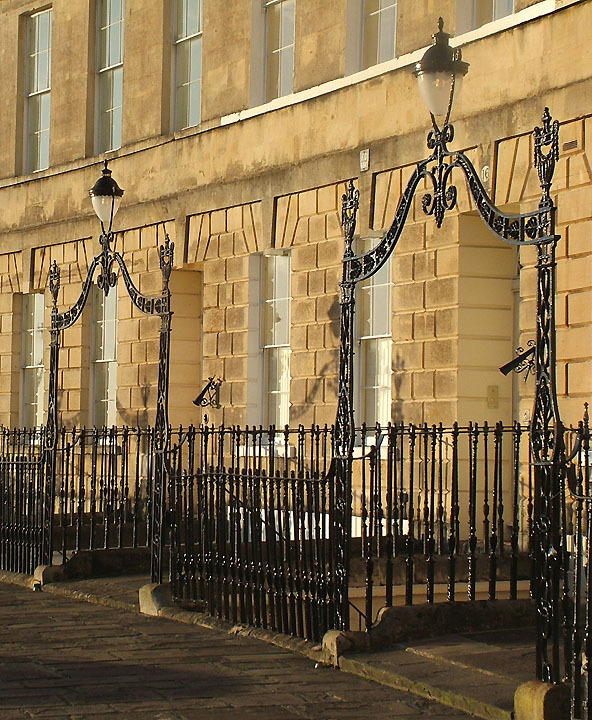 Georgian cast iron light fixtures, Landsdowne Crescent in Bath. Note the cones, which extinguished the light. Lanterns hung in front of city doors or were carried. In the country, torches hung from trees lining a lane that led up to a house. Balls and parties were planned during the full moon, although a rainy or cloudy night would spoil these well-laid plans. A link boy lights the way in the city, 1827. The situation would not change until the Industrial Revolution brought about such life altering inventions as gas lights, macadam roads (whose hard surface facilitated smoother travel), the steamboat, and rail travel. What a time people took formerly in travelling over old roads! There is a house just two miles distant from mine, by the new unmapped road. 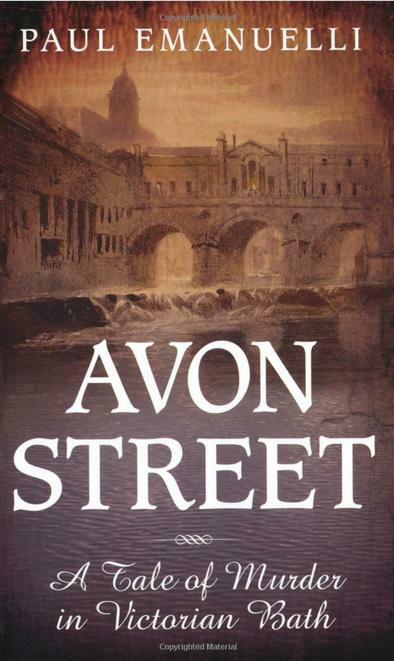 Before 1837, when that road was made, it was reached in so circuitous a manner, and by such bad lanes, and across an unbridged river, that my grandfather and his family when they dined with our neighbours, two miles off, always spent the night at their house. 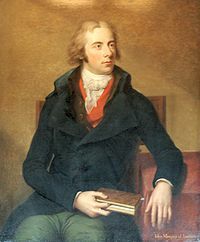 In 1762, a rich gentleman, who had lived in a house of business in Lisbon, and had made his fortune, returned to England, and resolved to revisit his paternal home in Norfolk. His wish was further stimulated by the circumstance that his sister and sole surviving relative dwelt beside one of the great broads, where he thought he might combine some shooting with the pleasure of renewing his friendships of childhood. From London to Norwich his way was tolerably smooth and prosperous, and by the aid of a mail coach he performed the journey in three days. But now commenced his difficulties. Between the capital and his sister’s dwelling lay twenty miles of country roads. He ordered a coach and six, and set forth on his fraternal quest. The six hired horses, although of strong Flanders breed, were soon engulfed in a black miry pool, his coach followed, and the merchant was dragged out of the window by two cowherds, and mounted on one of the wheelers; he was brought back to Norwich, and nothing could ever induce him to resume the search for his sister, and to revisit his ancestral home. Roads were in such a poor condition that transportation over rivers and canals was preferred. If waterways were not nearby, pack horses and carrier wagons carried heavy and fragile items into areas were roads were near to impassible. Carrier wagons were sturdy wagons pulled by oxen and covered with canvas cloth. Items had to be safely packed before they could be transported. Paper was expensive and cardboard boxes had yet to be invented. 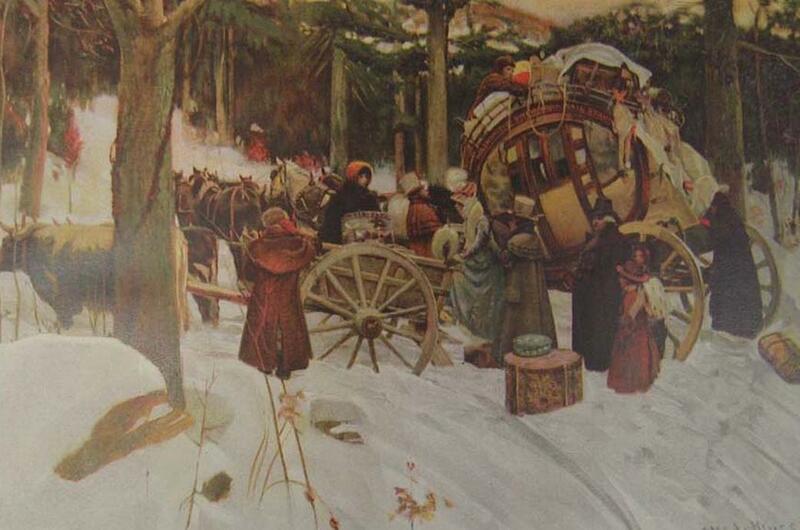 Goods were carried in cloth sacks, metal canisters, leather baskets, wood barrels, sturdy trunks, or wooden crates. Additional containers were made of cloth, woven straw, crockery, glass, and tin. 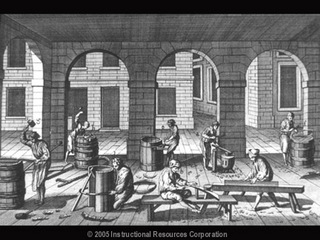 18th century coopers making barrels. Image@Instructional Resources Corporation. Fragile items like glass and china received extra protection and were wrapped in cloth or straw. Considering the poor road conditions, it is a wonder that any of these items survived their long journeys intact. View an image and explanation of a stage wagon in this link. It is a marvel to us how the old china and glass travelled in those days; but the packer was a man of infinite care and skill in the management of fragile wares. Breakdown of the Christmas stage, a Victorian illustration. 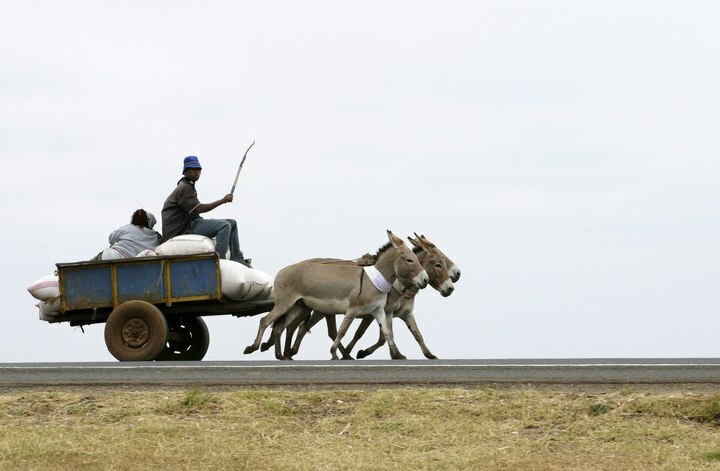 Note that oxen are strapped to an empty cart, ready to take on passengers, who are still 10 miles from their destination. As noted before, people often spent the night when they arrived as guests for dinner. Once a person made the journey to visit relatives, they tended to stay for weeks, even months. 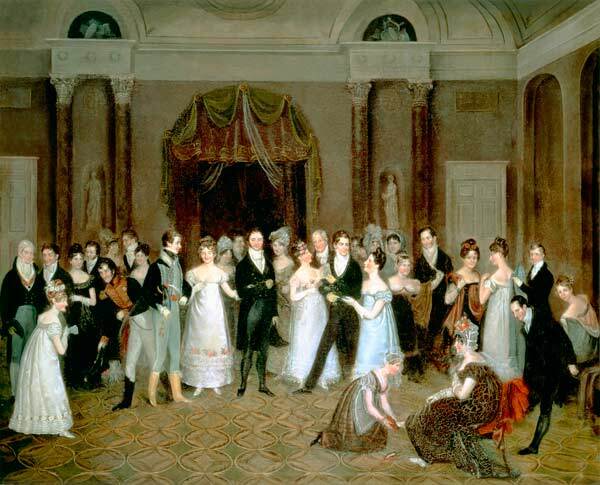 Elizabeth Bennet’s visit with Charlotte was of several weeks duration; Cassandra Austen frequently visited her brother Edward for weeks at a time, which is when Jane would write to her. 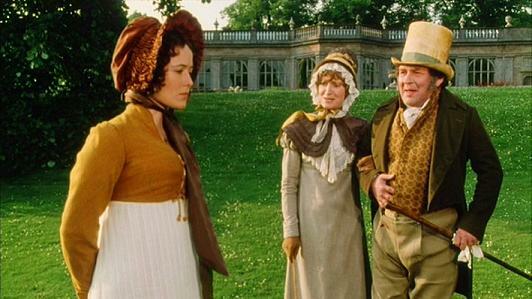 One of the most pivotal decisions in Pride and Prejudice was when Elizabeth Bennet agreed to visit Pemberley’s gardens and grounds with the Gardiners, only to suddenly encounter Mr. Darcy, who was not slated to return until the next day. Such a visit to grand estates by the well-heeled and more common folk like Elizabeth and her aunt and uncle were quite common in the 18th century. They would have purchased an inexpensive guide book at a local inn or town, and read information about the paintings and objects inside the great houses, and a description of the gardens and their rustic buildings and ornaments. 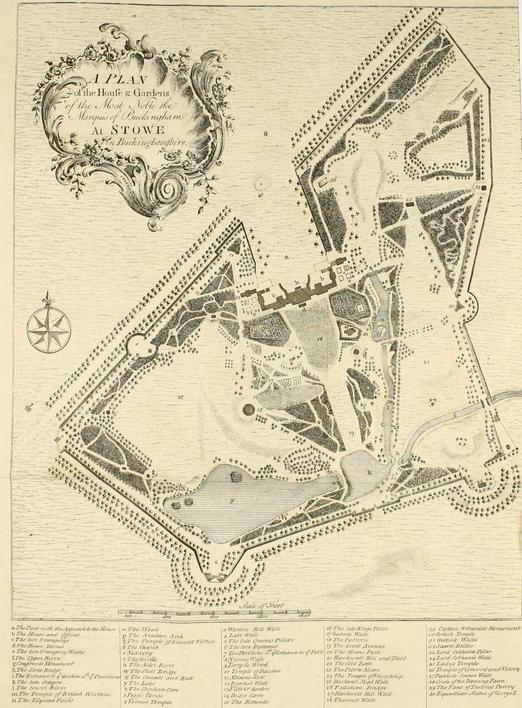 Seeley's plan of the house and gardens at Stowe. Seeley’s Guide Book became historically significant. It went through seventeen editions between 1744 and 1797, continually undergoing improvements and revisions. The book’s influence was such that it helped to make the Stowe gardens among the most publicized and copied of the English landscape model. 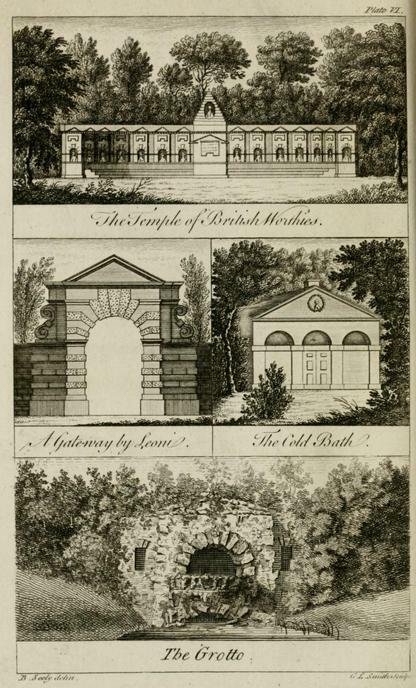 However, Seeley’s was not the only guidebook written for the famed Stowe gardens. 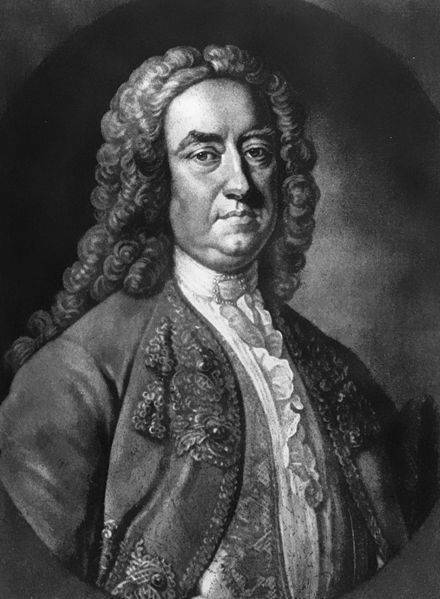 In 1732 Lord Cobham’s nephew Gilbert West wrote a lengthy poem The Gardens of the Right Honourable Richard Viscount Cobham that is actually a guide to the gardens in verse form. 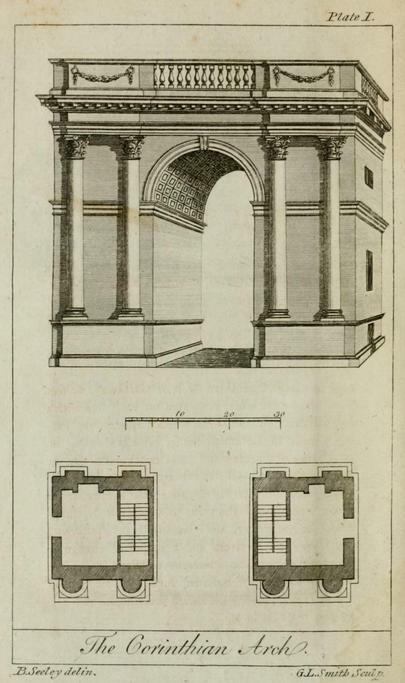 Charles Bridgeman commissioned 15 engravings of the gardens from Jacques Rigaud, and these were published in 1739 (Wikipedia), five years before Seeley’s guide. The Stowe gardens and grounds were extensive, offering planned vistas along a winding path, parterres, canals, large swaths of meadows, places for isolation and retreat, rustic buildings, and an emphasis on natural grandeur over formal symmetry. The 4th Baronet, Viscount Cobham, who married a rich brewery heiress, implemented the garden changes at Stowe in 1711. 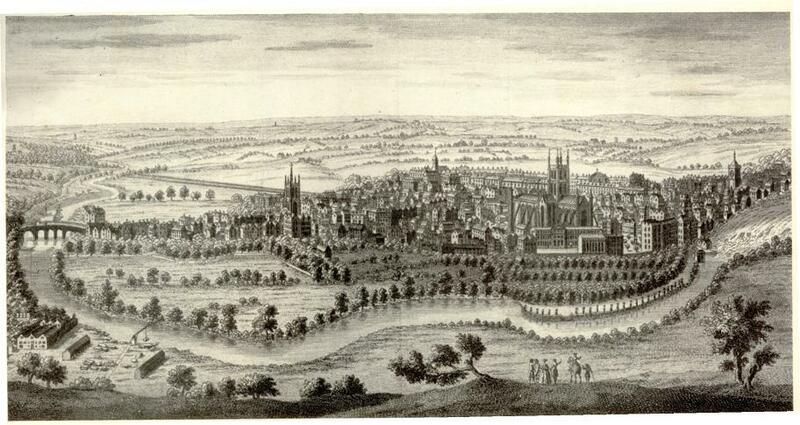 By 1724, the gardens rested on 24 acres and required the labor of 30 men. Garden maintenance cost the family 827 pounds in 1749-1750. Multiply that amount by 50, and you gain a quick idea of the cost in today’s terms. This sum represented almost all the spare money Lord Cobham could afford on the house and grounds. “BLENHEIM may be seen every afternoon, from three till five o’Clock, except on Sundays and public Days. On Fair days at Woodstock, likewise, it can be seen only by particular permission. COMPANY who arrive in the morning may take the ride of the Park, or the walk of the Gardens, before dinner, and after that visit the Palace. In 1776, the Wilton visitors book showed 2, 324 visitors in the last year. As discussed on this blog in another post, The Housekeeper as a Guide to a Great Country Estate, housekeepers and other servants stood to make a great deal of extra money from tourists. In the YouTube video below, one can get a sense of Stowe’s grounds and gardens in the first 3 ½ minutes. Enjoy the tour! 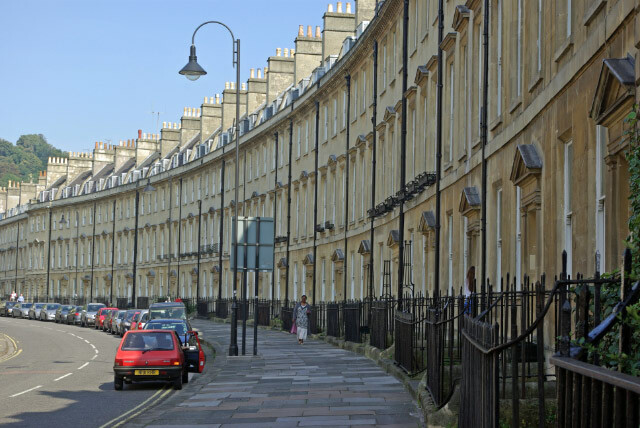 Fans of Jane Austen’s fiction are familiar with the rising middle class, successful and enterprising tradesmen, upward mobility through marriage, the fragility of life (especially for fishermen, sailors and child-bearing women), and the difficulties of road travel. All these topics are touched upon in a short biography of Mr. Edward Innes, a successful baker and property man. 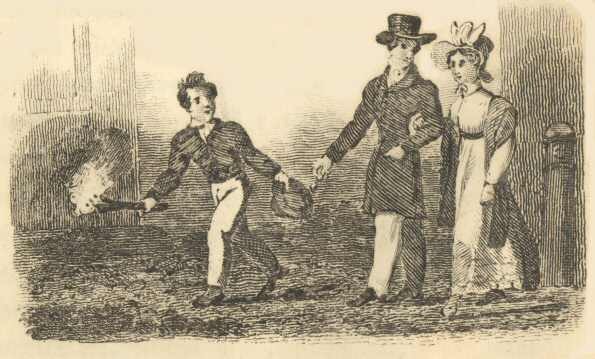 In this image, Mr. Innes is dressed as a gentleman, and is followed by a companion, Mr. James Cooper. As his position rose in life, his sensibilities must have become quite delicate, for as he passes a woman carrying a basket, Mr. Innes shields his face and nose from the offending stench that must have emanated from her basket. Mr. Innes, if this account is to be believed, was a nonpareil, covering the distance to London in his carriage at the unheard of speed of 50 miles per day. 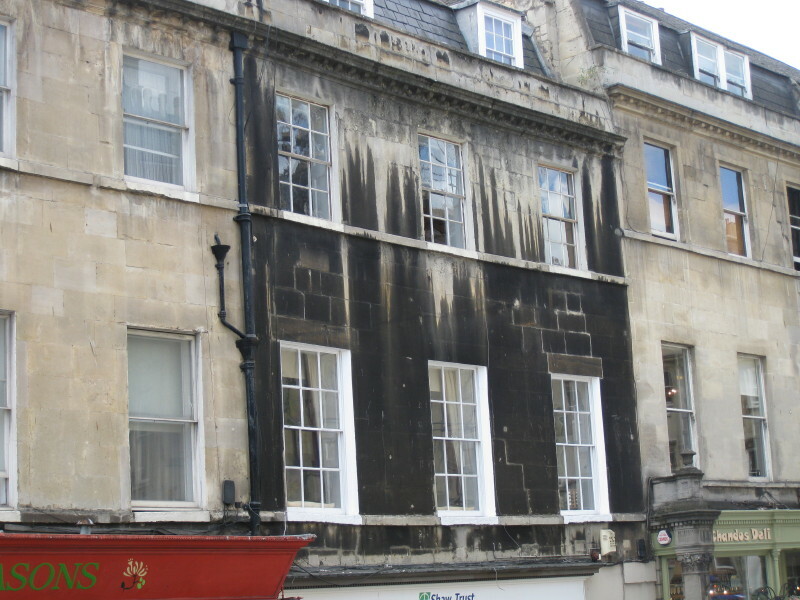 The progenitors of Mr Innes were farmers in the neighbourhood of Glencorse, but his father was a baker, and had his shop at one time at the head of the Fleshmarket Close. Latterly, the shop having been let without his knowledge to a higher bidder, he removed to his son’s property situated betwixt Marling and Niddfy’s Wynds. In his younger years, the old man was usually styled the handsome baker from his exquisite symmetry, and he was not less fortunate in his choice of a pretty woman for his wife. Isabella, or Bell Gordon, had been married to the captain of a vessel, who was drowned at sea only a few weeks after. The young widow then only in her eighteenth year, happening to be on a visit at the house of her brother in law, Mr Syme ,ship builder, Leith; the handsome baker was introduced to her acquaintance, and the result was a speedy union. Besides a daughter by her first husband, Mrs Innes had eight children, of whom the subject of our notice was the second eldest. 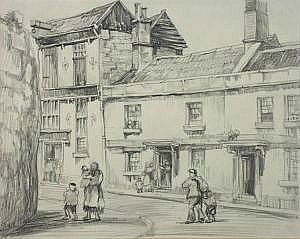 Mr Edward Innes, after serving his apprenticeship with his father, commenced as a baker on his own account in the High Street. 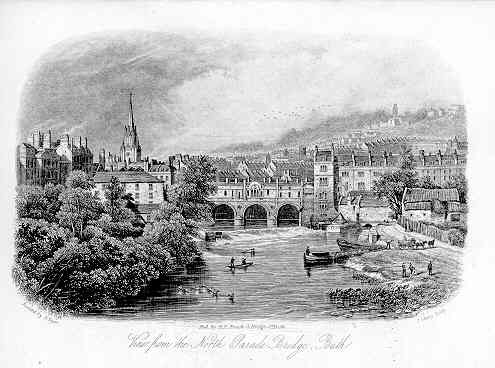 In addition to his good fortune in business, he acquired considerable property by his wife, a Miss Wright of Edinburgh, by whom he had several children. 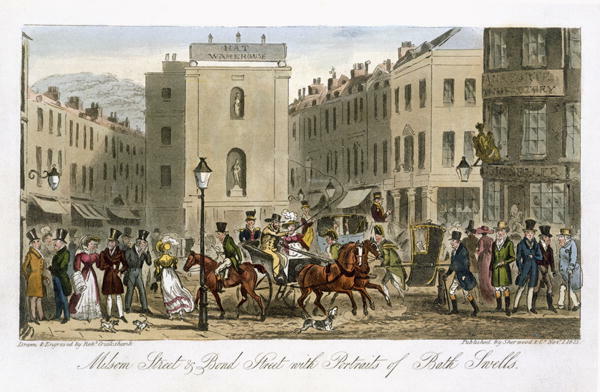 Mr Innes kept a horse and gig, an equipage rather unusual for a tradesman in his day; and what was considered remarkable at that time, he drove to London on one occasion, accompanied by his wife, in eight days, a distance averaging fifty miles a day. The circumstance was much talked o,f and taking into account the then state of the roads, the performance was really one of no ordinary magnitude. – A series of original portraits and caricature etchings, Volume 2, Part 2 (Google eBook), John Kay, 1838, p 284. Note: Considering the poor road conditions of the day, carriage horses averaged from 2-4 miles per hour; at breakneck speed, they could achieve a remarkable 6 miles per hour, but horses that pulled a carriage could keep up this pace for only a short distance. Thus Mr. Innes and his wife spent long hours on the road (10-12 per day) and had their horses frequently changed at stops along the way. It is commonly acknowledged that country roads in the day of Jane Austen became muddy and rutted in heavy rains, and therefore nearly impassable. 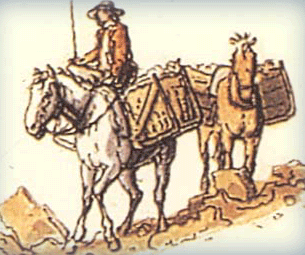 In cities and towns, streets required constant sweeping of horse dung and dirt by street sweepers. Ladies wearing long white gowns and soft satin or kid slippers were constantly dodging dirt, protecting their hems from wet grass, and finding ways to walk on roads and cobblestones whose condition were poor at best. 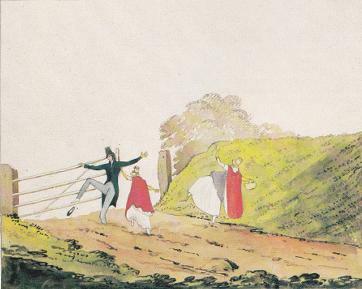 Diana Sperling painted her delightful watercolor sketches between 1812 and 1823. 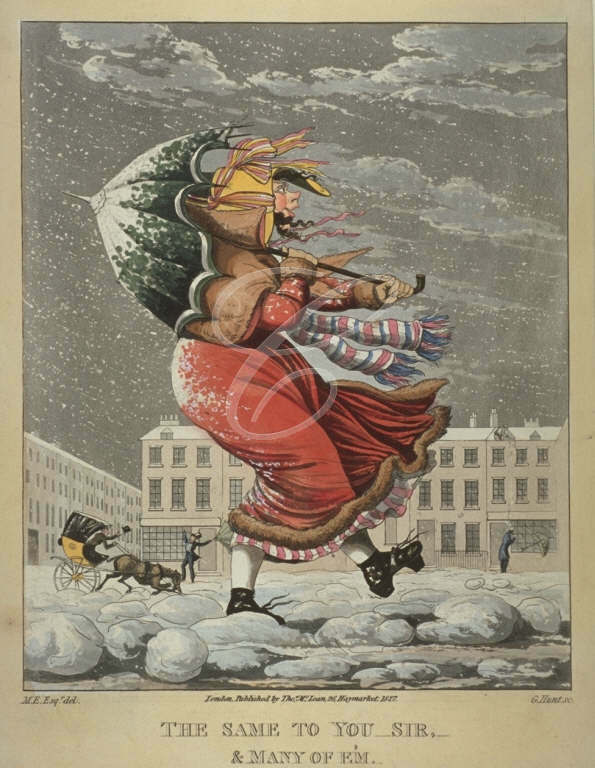 In two of the paintings, she shows precisely how difficult it was for ladies (and gents) to walk over poorly maintained roads – or no roads at all! 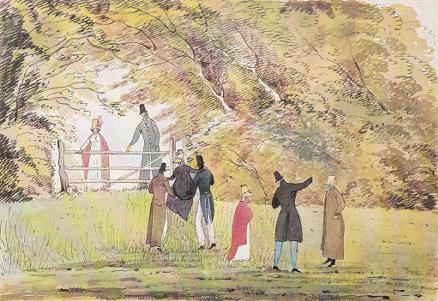 One imagines that Jane Austen and her family, who were country gentry like the Sperlings, encountered similar difficulties when walking. Charles Sperling conveys a lady over wet grass, by Diana Sperling. 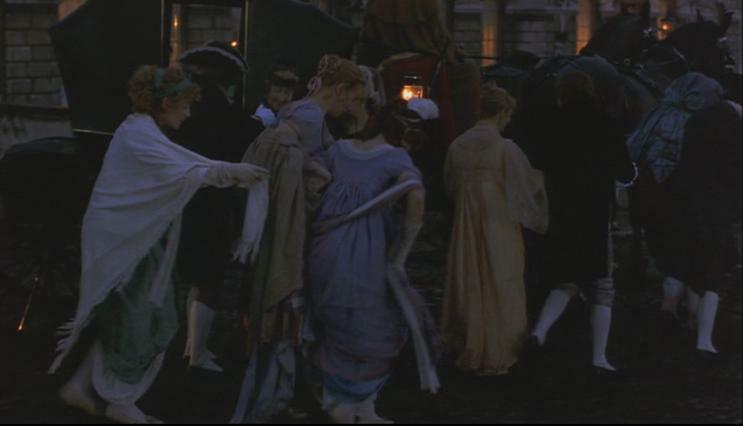 In Ang Lee’s Sense and Sensibility, one can see Marianne in particular holding up her skirts and daintily traipsing over a London street as the party walks from their carriage to the Dashwood’s ball in London. I found this scene particularly interesting, for this is one of the few films that depict how difficult it was for ladies to keep their garments clean as they walked down London’s streets. 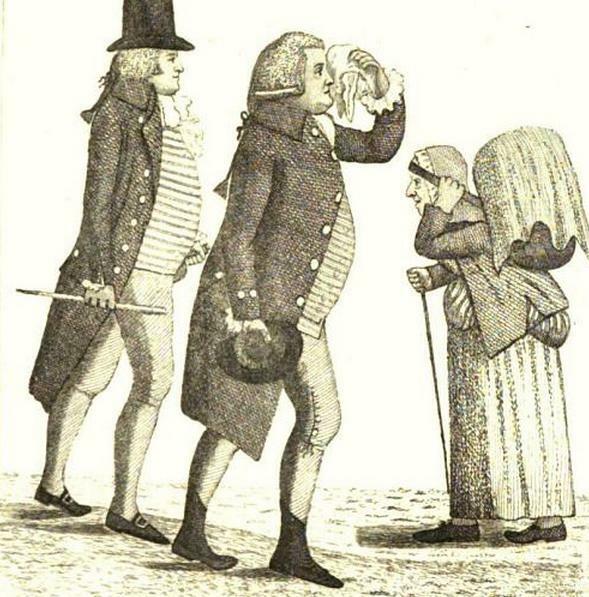 Regency women must have collectively heaved a sigh of relief when hemlines became fashionably short. 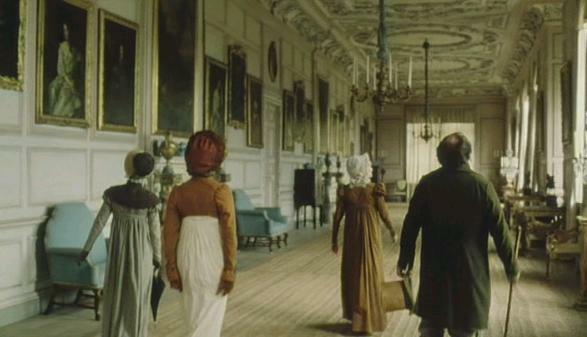 Marianne Dashwood (Kate Winslet) holds up her skirt, shawl, and reticule as she walks gingerly towards the ball. 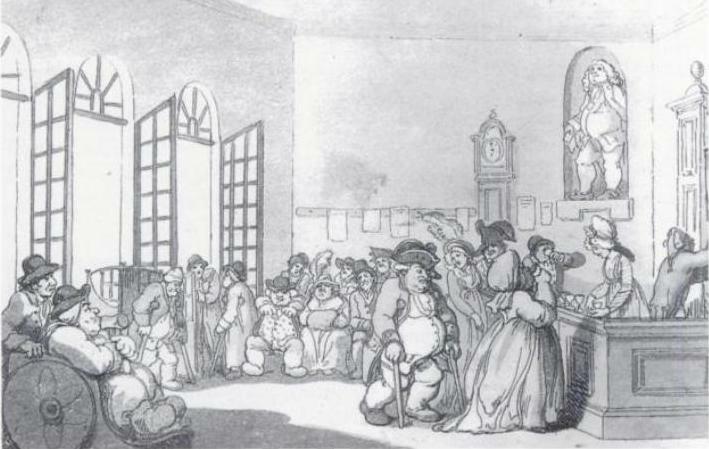 In Rolinda Sharples' Clifton Assembly Room (1817), one can see the lady on the lower right changing her slippers in the cloak room. 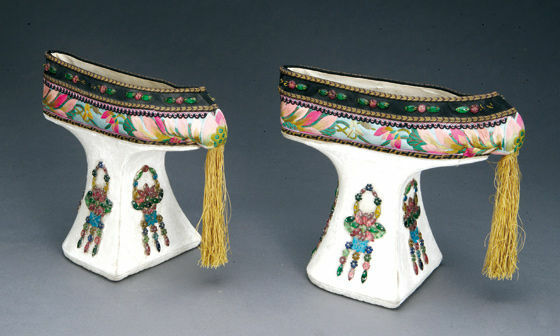 The problem of keeping one’s feet and skirts clean was solved by wearing pattens, although this practice was rapidly fading in the early 19th century. Nor the Foot find the Patten a clog. Pattens had been banned from churches for some time. As early as 1390, the Diocese of York forbade clergy from wearing pattens and clogs in both church and in processions, considering them to be indecorous: “contra honestatem ecclesiae”*. An 18th century notice in St Margaret Pattens, the Guild Church of the Worshipful Company of Pattenmakers, requested that ladies remove their pattens on entering; other English churches had similar signs, and in one case, provided a board with pegs for ladies to hang them on. One surmises that churches banned the use of pattens because of their loud clatter on stone floors. 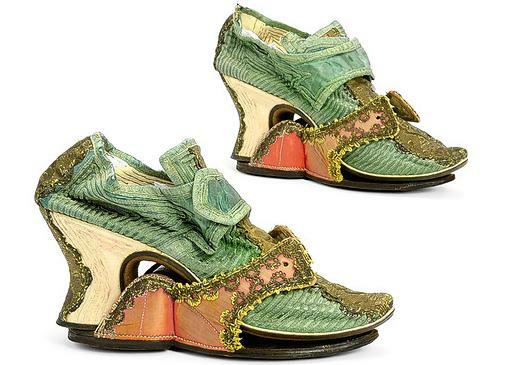 Pattens were clumsy platforms that raised the shoe a few inches from the ground. 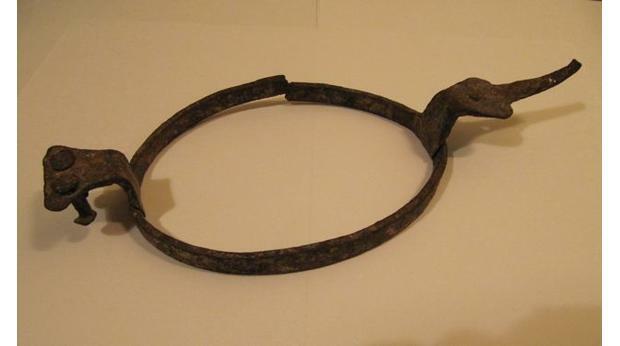 The most common patten after the 17th century was made from a flat metal ring which made contact with the ground. The ring was then attached to a metal plate nailed into the wooden sole. By the 18th and 19th centuries, men’s shoes had thicker soles and the wealthier gentlemen tended to wear riding boots, and thus pattens were worn only by women and working-class men in outdoor occupations. Soon, pattens were abandoned by ladies as well, and only the lower classes wore them as they went about their duties. 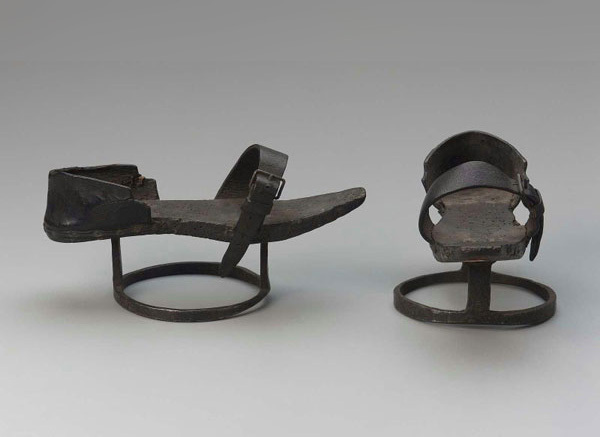 One can imagine the sad state of paths and roads the world over, which necessitated the use of such clumsy footwear in England, America, Turkey, and China, to name a few countries.